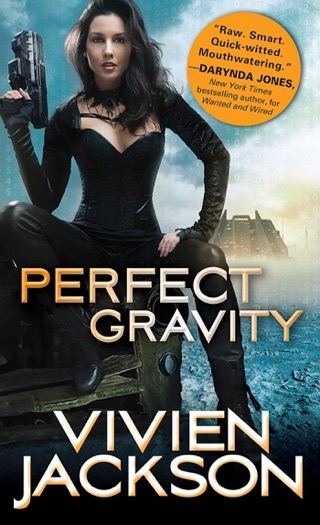 In this steamy near-future escapade, set in a debilitated world in which Texas has seceded and the U.S. is on the verge of civil war, tough Texas hit woman Mari Vallejo and her passionate posthuman partner, cybernetics professor Heron Farad, go on the run after Mari is set up to kill the wrong target. Both are simmering in complicated, conflicting emotions. Mari took the job to try to save the scientist father she hates; Heron is besieged by "a toxic mix of love and lust and anger" directed at Mari. 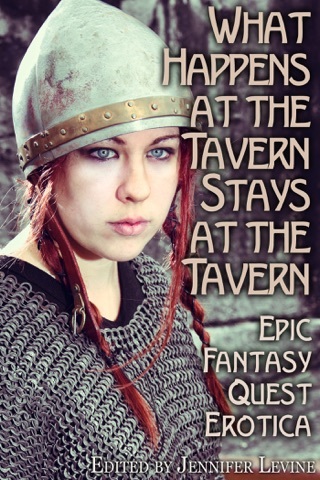 She often takes the lead in saving and seducing him, giving this fast-paced adventure a feminist twist. With a vicious war on the horizon, Heron and Mari prove they have plenty of sizzle left for future feats of sexual and intellectual derring-do. As their torrid courtship proceeds through superhero adventures and near-death encounters with the villains, Heron tries to keep Mari safe with his technological skills, such as piloting his orbit-capable airplane, while Mari, who's always been mystified by machines, uses her tough fighting moves and her brassy Texas idiom to undo their enemies. This unusual combination of romance and science fiction tends to predictability in plot, but its lead characters are sympathetically drawn and generally convincing, giving readers an easy trip into a not-so-distant world of technologically enhanced humans ruled by their indefatigable and inexhaustible hormones. a unique, dystopian, scifi romance. 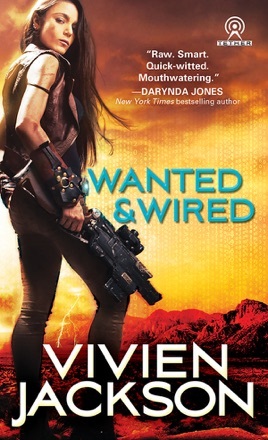 Wanted and Wired is a unique, dystopian, scifi romance. Mari is a gun for hire and Heron is her back up. When an assignment goes horribly wrong, Mari finds herself on the run from the law with Heron doing everything he can to help save her. Heron is in love with Mari and has been for years but she has never seen him as more than a technologically enhanced friend, but the with them being on the run together, Mari starts to see Heron for the person he truly is. Jackson writes a highly original and masterfully imaginative tale. I was blown away by the pictures that Jackson could create with words. Those pictures pulled you in and made for some amazing world building. I received this ARC copy of Wanted and Wired from Sourcebooks Casablanca. This is my honest and voluntary review.